Infusing liquor with flavor is an easy and fun project that can help you create amazing new cocktails. While vodka infusions are the most popular, there's absolutely no reason why you can't infuse extra flavor into gin, whiskey, rum, tequila or even liqueurs. Don't believe us? 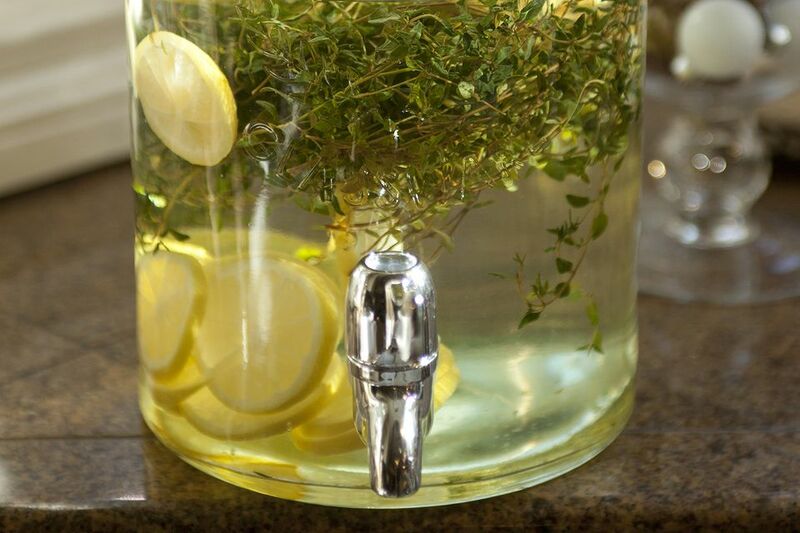 We have some great infusion recipes for you to try and tasty cocktails to mix your homemade creations into. Gin already has a great infusion of flavors because of the botanicals used to create it. When playing with infusions, choose delicate flavors that accent the juniper and other nuances of the spirit without overpowering or contrasting them. A fantastic example is this apple-pear gin. It's a great way to give your gin and tonic a true taste of autumn. You'll also find it useful in a variety of other gin cocktails. 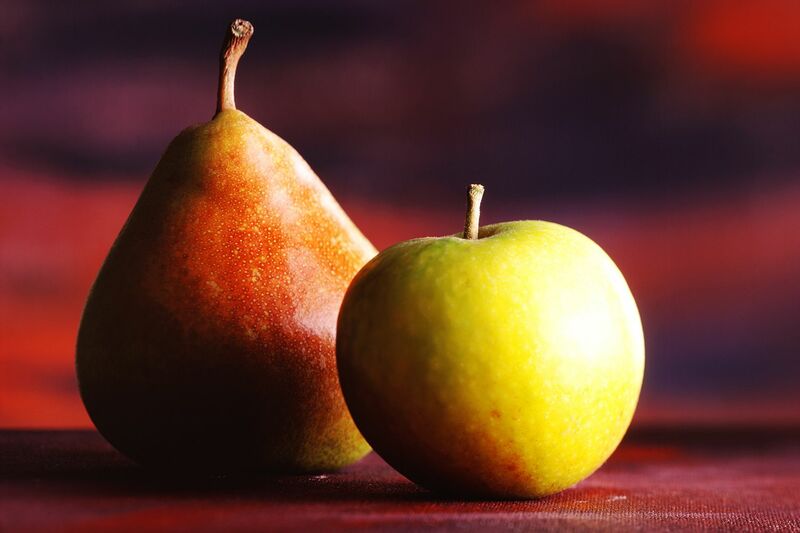 The fresh taste of pear can be used alone to delicately flavor a great gin as well. This recipe comes with the Frisco 49 cocktail, which is a unique take on one of the great Champagne cocktails. Also, keep in mind that each brand of gin has a different flavor profile, so consider your brands carefully. If one doesn't work particularly well, give another one a try. Tea is another option for infusions and the times required are often just a couple of hours. Try it out with this green tea-infused Fords Gin. Once your gin is ready, mix it into the impressive gunpowder gimlet cocktail. The recipe is a fun, new take on a classic gimlet, pairing your infusion with a pistachio-honey syrup (also homemade) and chamomile bitters. When you really get the infusion, bug you'll be delighted with truly unique infusions like this one. It's not often that someone asks you to infuse the flavor of kettle corn into your gin, and it's a brilliant idea. The gin is used to create a fancy candy corn cocktail for Halloween. It's paired with a sweet Moscato wine and a homemade citrus peel grenadine. While it's sweet and fun, it is certainly not your average gimmick-filled Halloween drink. It may just surprise you as to how well a whiskey infusion can work out. The darker profile of the liquor is a great foundation for a variety of flavors, though you will need to test it regularly to ensure you get a good balance. Chocolate and whiskey are a natural pairing, and this recipe will show you how to pull it off. It infuses cocoa beans into Old Overholt Rye Whiskey for a few days before mixing up a cocktail inspired by the old-fashioned. We realize that some of you are dying to know how to make bacon-flavored whiskey. Technically, bacon whiskies (or vodkas) are not infusions, but whiskey that's "washed" with bacon fat. Whatever you call it, it's a whiskey and bacon lover's dream. The big fat Elvis shooter it's mixed into includes a homemade peanut butter amaretto as well. It sounds crazy, but it works. Apple whiskey has long been a favorite and is still used to recreate many classic cocktails, but what about pineapple? You might think that it's too soft or tropical for the darker spirit, but it works out incredibly well. Not only is pineapple-infused whiskey an unusual and pleasant surprise, the centennial punch recipe it's used in is ideal for winter holidays. If you're seeking a way to bring a splash of the tropics to Christmas, this is it. Unique? Yes, but one taste of fig-infused bourbon will prove that it's a worthy endeavor. This one requires a combination of two fig varieties and the whiskey will be ready within a week. What can you do with fig whiskey? Start out by mixing up the classy marriage of Figaro cocktail with a straight bourbon, Cardamaro and allspice dram. As you sip that, let your imagination guide you to more creative cocktails. The butternut in question here is indeed the variety of squash. It is the perfect infusion for harvest season and the cinnamon and sugar added to it really help round off the flavor. The infused bourbon is used to make a butternut old-fashioned. It's a fun and simple cocktail that you'll want to share with family and friends over the fall and winter holidays. Pumpkin finds its way into everything come autumn and why should whiskey be any different? This infusion recipe uses fresh pumpkin meat and the result is spectacular. Trust us, you will not be wasting scotch by adding the flavor of pumpkin to it. It's quite the opposite, actually. We even have a great cocktail to show you how to enjoy it. White rum is particularly useful in infusions, though you can use an aged rum if you like. It's not much different than a vodka base, so feel free to use any infused vodka ideas with your favorite rum as well. If you love coconut rum, try making your own sometime. It's a fun project and a very useful infusion because there are many coconut rum cocktail recipes available to play around with. Tea is a good companion for rum as well. The infusion tastes a bit like sweetened iced tea and the light flavoring can find its way into some of our favorite rum cocktails. This particular infusion recipe uses a very specific tea because of the cocktail that it goes into. Yet, feel free to play with different tea and rum combinations. Green and chamomile teas are good choices to begin with and they take just an hour or two, so the experiments are very fast. Tequila is another very interesting base for infusions. You can use almost any of the flavor suggestions for other spirits, it will simply have that earthy agave flavor that is tequila's signature. One rather unique idea is this lemongrass-ginger tequila. It has a wonderful taste and can be enjoyed on its own or mixed into some of our favorite tequila cocktails to give them an interesting twist. It's only natural that spicy peppers are a favorite for tequila infusions. Remember to keep the infusion short—as in one to two hours—and test it frequently or you will burn the tequila. Jalapenos are a favorite and Morita chiles are interesting as well. You can even take a queue from the habanero martini and simply infuse it right there in the glass. The six base distilled spirits are not your only option for infusions. Liqueurs, fortified wines, and aperitifs have some potential as well. Because these tend to have flavor already, you do need to be careful in your pairings, but there are some interesting possibilities here. For instance, the spicy paloma cocktail uses a Thai chili-infused Aperol. The bitter orange flavor of the aperitif is a nice companion for the hot pepper and it's a great enhancement to a tequila cocktail. There are times when you'll come across specialty ingredients that may be easier to make yourself rather than hunt down and buy. The raspberry vermouth in the rustic Manhattan recipe is a perfect example of these rarities. If you cannot find that particular offering, simply infuse some fresh raspberries into a dry vermouth. The infusion should take about one week. When it's done, you'll be ready to mix up that cocktail or any other vermouth drink you want to have a berry twist.